High-cube (HC) containers are very similar in structure to standard shipping containers; differing only in height. In contrast to standard containers, which have a maximum internal height of 2591 mm (8’6″), HC containers are 2896 mm, or 9’6″, tall. HC containers are for the mostly 40′ long, and are also available in 45′ length. O scale has recently become less difficult to model containers in thatnks to the good people at Atlas. 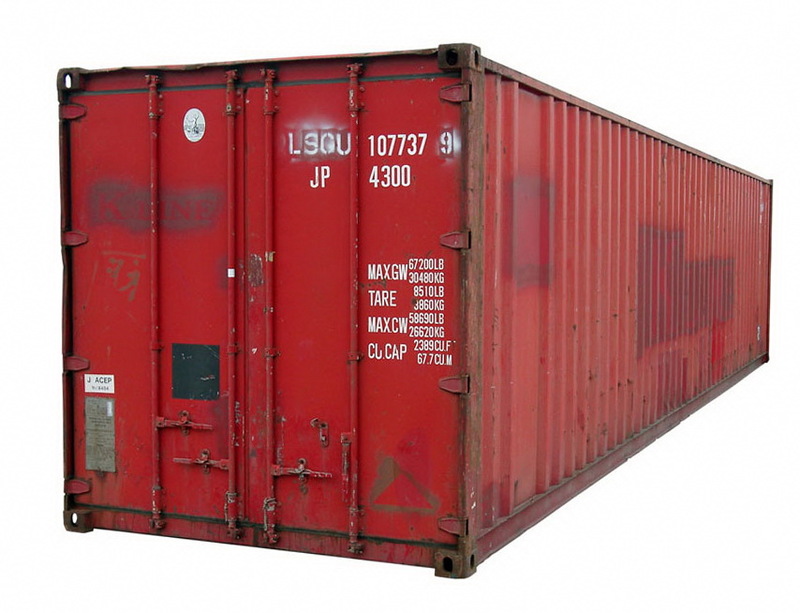 They just recently released some TrainMan range 20 foot ISO containers in 1:48 scale. You can still print and make your own but these are not out of reach for two containers for around $25 US. In 2013 my work received a 40′ High-Cube container full of stock. While it was on-site I snapped as many photos as I could for future reference. They may be used for your personal use only. No commercial use may be made of them. Copyright Ian Andrew Martin 2013.